When GM filed for bankruptcy on June 1st of this year, it revealed that the Hummer brand would be discontinued. The next day, The General announced that it would sell Hummer to an undisclosed Chinese manufacturer, which later turned out to be Tengzhong (Sichuan Tenzghong Heavy Industrial Machinery Company). And that’s when obstacles began to spring up left and right. First, the Chinese government opposed the sale because Tengzhong, a little-known Chinese machinery maker, simply lacked experience in the car industry. 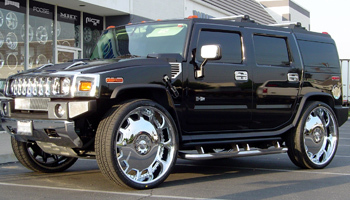 Then U.S. citizens and politicians feared that turning over Hummer to another nation would result in wiping out the brand’s manufacturing plants and dealer networks at home. The opposing voices have quieted down over the last few weeks, after China’s commerce ministry commented in a positive manner on the deal, saying that Tengzhong’s move is normal for a company looking to take advantage of the global down market. On the U.S. front, Tengzhong has agreed to maintain Hummer’s dealer network oce the transaction goes through. “Market sentiment on the Hummer has turned more positive lately as industry insiders and media come back to their senses from the initial shock,” said Chen Qiaoning, an analyst with ABN AMRO TEDA Fund Management. “It seems to me that the Chinese government has little to lose giving the greenlight. Tengzhong is a privately-owned company and the Hummer deal won’t cost any state money,” Chen said. Tengzhong expects to complete the deal in the third quarter of this year and expects to pay in the range of $150-$200 million in total, which is considerably less than GM’s original asking price of $600 million last year. This humble blogger has been a long-standing fan of Hummer products, whether it’s the original H1, the humongous H2, or the more mainstream (and more attractive) H3. The mere toughness of the brand, coupled with its “off-road” lifestyle is something I greatly appreciate on a personal level. However, many Hummer customers seemed to have different goals for their off-road machines (pictured). Still, it’s important to keep in mind that selling Hummer goes along with the “New GM” strategy of positioning itself as a more efficient and lean automaker with fewer product lines and less niche vehicles/brands. It will have achieved the same goal by selling Saab. Therefore, this humble blogger supports the sale of the “Like Nothing Else” brand wholeheartedly if the General is still around.